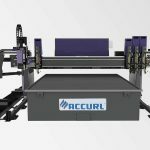 ACCURL has been in machine industry field for about 10 years, we produce and sell all kinds of NC/CNC press brake, 3 or 4 roller rolling machine, plasma cutting machine, fire cutting machine, high quality shearing machine including swing beam and various rank guillotine shears, hydraulic press, lathe machine, milling machine etc. 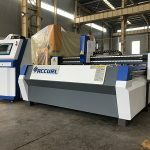 All machines are under CE certification and experienced in the market of European such as United Kingdom, Belgium, Romania, Hungary, Croatia and also all the other countries in the world. 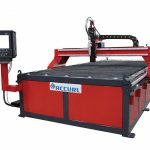 We produce about 20 sets of plasma cutting machine monthly including gate type, table type, convenient suspending type. 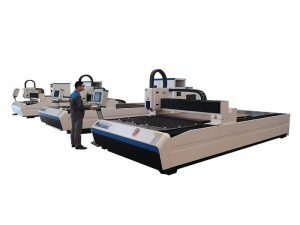 In this large production volume, therefore enable us to be a price-effective in manufactory cost level. We consist in financial flexible principle to collaborate with our partner for a better recovery cost after their investment. We also provide client-oriented after-sale service with engineer available if needed. In any cases, our action is in rapid response, immediately action in both consultation or site guidance. 1. 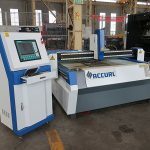 High stability and one-time cutting shape process. 4. 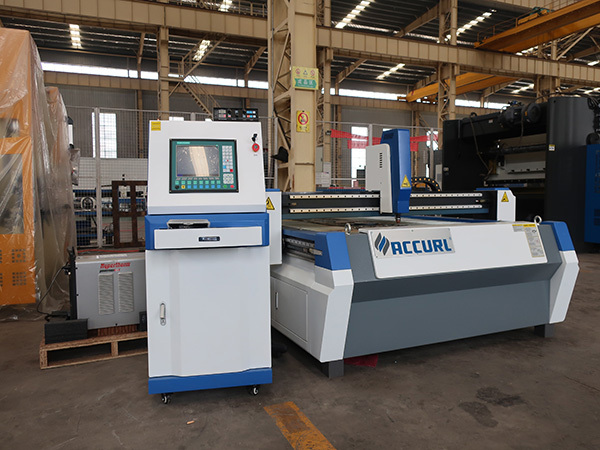 The machine apply HONGYUDA series arc voltage automatic height adjusting device to ensure the advantage or free of maintenance , high precision in height level control and also the reliability of the product. 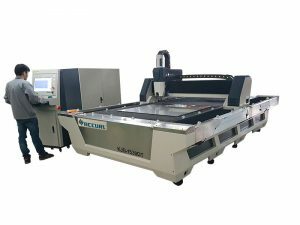 The machine has equipped with POWERMAX 105 plasma cutting electronic power, good in cutting effect, long life in consumptive components and material to prevent the worry for the exchange for the electrode cutting nozzle. 5. 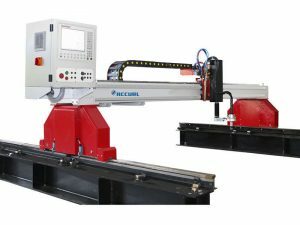 Customer-tailored service for the equipment in demand for example alternative for full step drive type or combination drive machine. 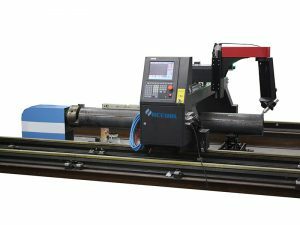 And also can choose single fire, single plasma or combination with fire and plasma cutting etc. 6. Optional for wireless remote control function to easily control any emergency when the operator is far away from the machine, can control the start, stop, rise, down, forward or backward within 100M. 4. 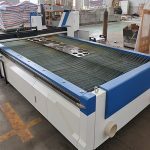 Use USA HYPERTHERM company MIRCO EDGE cnc control system, 17 inch color display screen, dynamic graphic display, automatic tracking, DETAILS as below. 5. Through the JAPAN imported original Panasonic servo motor, the magnet steel will be more durable, demagnetization will not happen because of the heating of the MOTOR. 6. Use AR voltage height level adjustment system to protect cutting torch ensuring the long life of the consumables. 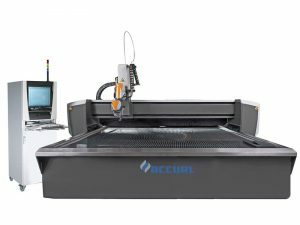 The CNC system of F2300 uses ARM and DSP motor control IC to implement cutting control, and the system is widely applied to oxygen gas cutting and plasma cutting processing industry. 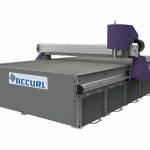 The system is designed portably to be installed. The system is easy to be operated and the worker can use the menu and the graphical hints to operate it. All the key buttons are designed in ergonomic considerations to be used conveniently. The front USB port can import and export files conveniently. The system interface includes many languages such as Chinese simplified, English, Russian, French, Japanese and can be used in many countries. · Max pulse frequency:250KHz;Max motion speed:25m/sec. · System working condition:Temperature :0℃ - +55℃;Relative Humidity: 0-95%. · Support oxygen gas, plasma, powder and simulation demo mode. · 45 categories different graphics (including grid pattern), chip part and hole part are alternative. · Graphics have some operations such as Proportion, Rotate, Mirror. 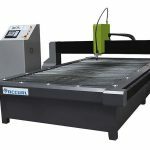 · According to plate thickness, the cutting speed is automatically restricted by a speed limit in the corner, effectively preventing over burn. 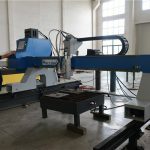 · Steel plate can be adjusted according to any steel side. 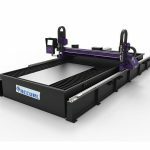 · Coordinate system can be customized to support the two-dimensional coordinates of all eight kinds. · Chinese / English (including Japanese, Russian, French and other languages )file system and menu can be switched only by one key. · select row and column manually. 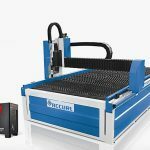 · support edge cutting and offset cutting. · Automatically memorize the working situation and the last cutting point when power off. · Dynamic/static illustration of the process, graphics zoom in / out, dynamically tracking cut-off point under zooming state. · set up different administration authority to and the corresponding password to safeguard the interests of managers.